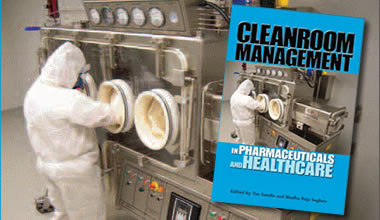 Following a decision taken by the European Pharmacopoeia (Ph. Eur.) Commission at its 160th session (March 2018), the monograph for Water, highly purified (HPW) will be suppressed on 1 April 2019 from the Ph. Eur. 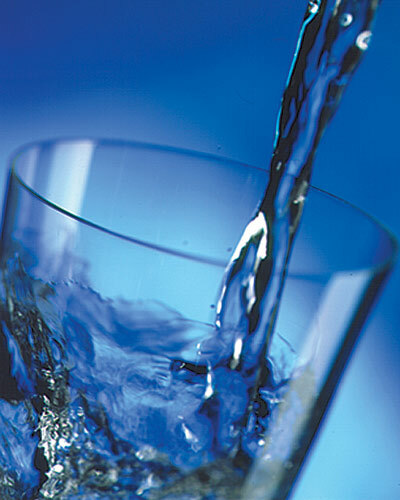 The monograph suppression is a consequence of the recent revision of the monograph for Water for injections (0169), which now allows for purification processes equivalent to distillation for producing water for injections (WFI), in addition to distillation. Hence, the HPW monograph is a duplication of the WFI monograph in terms of quality requirements and production methods, and as such became redundant. According to the WHO, around 700,000 people die every year as a result of antibiotic resistance. In Germany, around 6,000 people die every year because treatment with antibiotics is not effective. 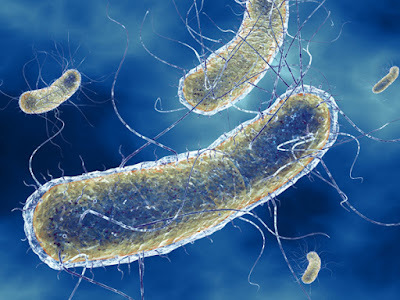 Scientists at Friedrich-Alexander-Universität Erlangen-Nürnberg (FAU) and the University of Oxford have now discovered that there is a point in the production process of the proteins at which it can be regulated by bacteria. This could be used as a starting point for the development of new antibiotics and help overcome resistance to antibiotics. Antibiotics are used in the treatment of bacterial infections. They kill and inhibit the growth of bacteria, allowing the infection to subside and the patient to recover. However, during the last few years, increasing numbers of bacteria have developed so-called antibiotic resistance, which means they are resistant to the effects of antibiotics. Over time, these types of medication become ineffective and multi-resistant bacteria become even more widespread as a result. In bacteria, the RNA is produced using a large protein complex called RNA polymerase (RNAP). The RNAP reads the DNA sequence and builds a copy of the RNA by joining nucleotides together -- the fundamental building blocks of RNA -- during a process called transcription. Since this production of RNA is fundamental for the survival of the bacteria, it has already been the subject of intensive research and used as the starting point for developing antibiotics, for example for the treatment of tuberculosis. However, it remained unclear how the production of RNA is also regulated at the stage of early transcription when RNAP has just begun to join together the first few RNA building blocks. This was the subject of the research carried out by the team of scientists. The researchers used high-end fluorescence microscopy, which allowed them to monitor individual RNAP molecules as they started to produce RNA. They discovered that the initial RNA synthesis is strongly regulated -- a certain sequence of DNA forces the RNAP to pause for several seconds. It can only continue with RNA production after this pause. This discovery completely changes our previous understanding of initial RNA synthesis in bacteria. Welcome to the 1st International Mycoplasma qPCR Testing User Day - PharmaLab Pre-Conference Event. We hope to provide a stimulating workshop of lectures and discussions with our keynote speakers. Please visit the agenda for detailed information here. To sign up click on registration and follow the instructions. We are looking forward to your participation and to an exciting and informative event. 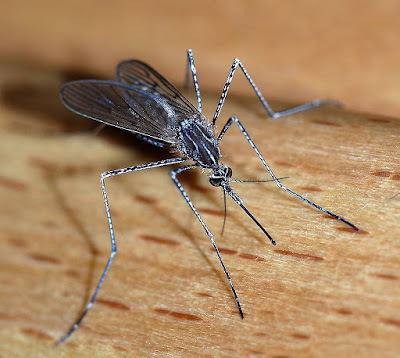 California Has Highest Number of Mosquito-Transmitted Disease Cases In U.S.
California leads the nation in mosquito-borne disease cases over the last decade, according to new data from the U.S. Centers for Disease Control and Prevention. The State reported 9,254 cases of mosquito-transmitted diseases between 2004 and 2016, followed by New York with 7,167 and Texas with 6,648. California had 100 times more mosquito-transmitted disease cases than Alaska (87), which reported the lowest number of cases in the country during the same period. The report included the total number of local and travel-associated disease transmission cases per state and did not adjust for population. Two invasive mosquito species, Aedes aegypti and Aedes albopictus, have been found in nearly 200 California cities and designated census areas since 2011 and they continue to spread throughout the state. Both invasive mosquito species are capable of transmitting viruses that are dangerous to people such as chikungunya, dengue, and Zika. Mosquitoes that are native to California are capable of infecting people with West Nile virus, which can cause debilitating cases of meningitis, encephalitis, and even death. Vector control agencies have been working closely with public health officials to expand the toolbox of mosquito surveillance and control strategies. At the federal level, enhanced mosquito detection and suppression efforts have been funded by CDC Epidemiology and Laboratory Capacity (ELC) Grants. The grant funds have supported additional surveillance, control personnel, abatement equipment, community outreach, and education campaigns. 1. Apply insect repellent containing EPA-registered active ingredients, including DEET, picaridin, oil of lemon eucalyptus, or IR3535 according to label instructions. Repellents keep mosquitoes from biting. DEET can be used safely on infants and children 2 months of age and older. 2. Dress in long sleeves and pants. 3. Install screens on windows and doors and keep them in good repair. 4. Eliminate all sources of standing water on your property, including in flower pots, old tires, and buckets. 5. Repair leaking faucets and broken sprinklers. 6. Clean rain gutters clogged with leaves. 7. Report neglected swimming pools and day-biting mosquitoes to your local mosquito and vector control agency. For additional information on mosquitoes and mosquito-borne diseases visit the California Department of Public Health. The kitchen is the heart of the home. You cook, eat and socialize in your kitchen; for many, it is the center of day-to-day living. The kitchen fuels bodies, minds and souls of families across the world, but it can also be the most veritable incubator for bacteria in the household. According to a study published by the University of Mauritius, and presented recently at the annual meeting of the American Society for Microbiology, your kitchen towels may be the leading culprit of pathogen advancement. “Our study demonstrates that the family composition and hygienic practices in the kitchen affected the microbial load of kitchen towels,” said Dr. Biranjia-Hurdoyal. “We also found that diet, type of use and moist kitchen towels could be very important in promoting the growth of potential pathogens responsible for food poisoning,” she said. Researchers collected a total of 100 kitchen towels after one month of use. Using standard biochemical tests, they concluded that 49% of the kitchen towels collected in the study had bacterial growth. The bacterial growth increased in number with family size—whether by extended family, or the presence of children. Experts discourage using kitchen towels for multiple purposes (wiping utensils, drying hands, holding hot utensils, wiping/cleaning surfaces) because they had a higher bacterial count than single-use towels. They also warn against using humid towels because they too showed higher bacterial count than dry ones. Pathogens on kitchen towels would indicate that they could bear some responsibility for cross-contamination in the kitchen and, ultimately, food poisoning. Households with children, older adults or others with immunosuppression should be especially vigilant about hygiene in the kitchen. Your kitchen may be the busiest germ factory in your house, but by stepping up some basic hygiene, you can fight back against germs that tend to lurk around every corner in your kitchen. For towels/cloths hanging in the kitchen, allow them to dry after use. Change out towels and cloths at least once a week. Run kitchen towels and dish cloths through the washer at least once per week, using hot water. Dry kitchen towels/cloths on high heat. After washing your hands properly , grab the hand towel, not the dish towel. Better yet, use a single-use paper towel. Clean kitchen surfaces often (at least once a week), using disinfectant sprays or wipes. Don’t get too attached to your sponges. Washing, drying or zapping sponges in the microwave can help reduce germs, but we suggest disposing of sponges at least once a week, or when they smell bad. Keeping your kitchen germ-free can be challenging, but if your food safety practices include regularly sanitizing your kitchen, you can greatly reduce the risk of getting sick from potentially harmful pathogens. Many of our best memories are made gathered round the kitchen table – a place where everybody feels at home. We want everyone to get comfortable. Everyone, except foodborne pathogens. Stop Foodborne Illness is a national nonprofit public health organization dedicated to the prevention of illness and death from foodborne illness by promoting sound food safety policy and best practices, building public awareness, and assisting those impacted by foodborne illness. For more food safety tips please visit http://www.stopfoodborneillness.org/awareness/. If you think you have been sickened from food, contact your local health professional. Bio-Kult®, an award-winning, research-based probiotic, announces new clinical trial research confirming that the use of its multi-strain probiotic (14 different bacterial strains; 8 billion colony-forming units per day) is safe and superior to placebo in improving GI symptoms over a period of 4 months in patients with IBS-D (diarrhea-predominant irritable bowel syndrome). In the largest-ever, double-blind randomized controlled trial (the gold standard for medical research) of probiotic supplements in IBS-diarrhea type patients ever conducted, dramatic improvements in symptoms were reported. In the study of 360 patients who had IBS with diarrhea as their predominant symptom (IBS-D), those patients who took the probiotic supplement Bio-Kult® reported a 69 percent decrease in abdominal pain, compared to 47 percent in a group who took a placebo. The four-month study conducted by the University of Bangabandhu Sheikh Mujib Medical University in Dhaka, Bangladesh also found that the number of patients who rated their symptoms as moderate to severe at the beginning of the study was reduced by 86 percent in the Bio-Kult® group, compared to 52 percent in those who took a placebo. A total of 33.7 percent in the Bio-Kult® group reported that all their symptoms had disappeared at the end of the 16 weeks compared to just 12.8 percent in the placebo group. In addition to relieving IBS-D symptoms, Bio-Kult® was also shown to markedly improve all aspects of Quality of Life (QoL) evaluated using as a 34-point IBS-QoL questionnaire. These included psychological issues such as anxiety about health, depression, lack of enjoyment of life, and feelings of having to avoid stressful situations. 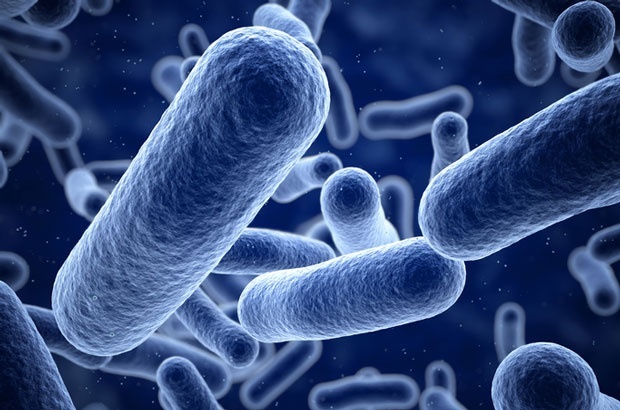 Leading experts say the findings are a significant breakthrough in understanding the role bacteria play not only in physical gut symptoms but also psychological symptoms of IBS. 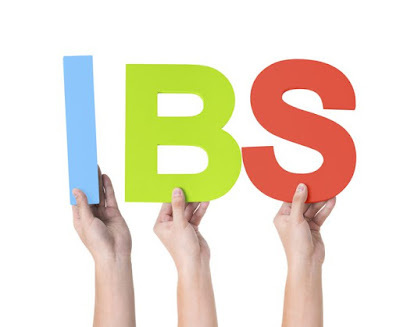 Dr. Philip Burnet, Associate Professor at Oxford University, a leading UK expert on the gut microbiome/ brain axis, says that although several symptoms within the IBS-QoL survey in the study were significantly improved after taking probiotic supplements, the reduction in dysphoria (unease or generalized dissatisfaction), and health worries were particularly noteworthy. Burnet cites another recent study by the University of Corki demonstrated that a single-strain probiotic, B.Longum, reduced depression scores in 22 IBS patients. “The Bio-Kult® formulation not only contains B.Longum, but also several other probiotic strains that have been reported to have psychotropic effects in both mouse models of anxiety and depressed mood, and in preliminary human studies,” says Burnet. “IBS is a significant problem that decreases quality of life and places an enormous economic burden on healthcare systems globally. A safe and convenient IBS treatment that is capable of reducing pain by nearly 70%, not to mention completely resolving symptoms in more than a third of patients, demonstrates a profound benefit and holds great promise for this major medical concern,” says Dr. Ashton Harper, Head of Medical Affairs at Protexin Healthcare, makers of Bio-Kult. One of the biggest challenges in gauging the spread of Lyme Disease in the United States has been the under-reporting of cases to health authorities. 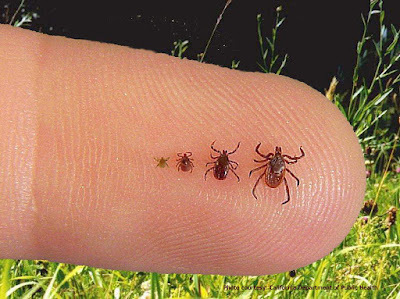 The Centers for Disease Control and Prevention (CDC) has reported that the numbers of Lyme disease cases actually reported from state and local health departments are probably much less than the actual number of cases. Lack of timeliness and localized reporting are also issues with some Lyme disease data. The good news is that now, thanks to a simple website and app, users can tap actual diagnostic data from nearly one million doctors’ offices throughout the United States to get a clearer picture, literally, of where Lyme disease is most severe. The Doctors Report™ Illness Tracker™ announced that its data shows 850,000 cases of Lyme disease were diagnosed across the U.S. in 2017, which is many times more than other available information. While it’s too early to tell where 2018 will fit in the pattern, the one thing anyone can do is check the Doctors Report ™ Illness Tracker™ to find out where and how severe Lyme disease is in their area right now. The data is reliable because it’s based on actual diagnostic data, which Doctors Report collects from a national database from nearly one million doctors’ offices consisting of actual doctor-diagnosed and reported cases. Illnesses are ranked according to severity levels on a scale of 1 to 10 (10 being most prevalent). DoctorsReport.com’s national database of doctor-diagnosed Lyme disease represents just one of 15 illness tracked. The website and mobile app tracks illnesses nationally and locally to the zip code. It is current to within a week or so. And the data can be broken down across all age groups. Doctors Report is a website and app, powered by data from almost one million doctors’ offices nationwide. The data from doctors’ offices is cycled automatically so that it is the most current available anywhere. Doctors Report tracks 15 major disease and condition categories. Additional health risk categories will be added. The geographic accuracy of the data can be narrowed to zip code and broken down by health condition and age group. “We’ve always assumed that the microbiomes of infants were the same everywhere, and that differences came later in life,” says senior author Silvia Turroni of the Department of Pharmacy and Biotechnology at the University of Bologna in Italy. 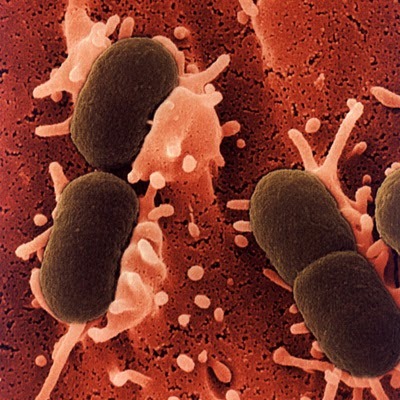 “We were surprised to find that the microbiomes of infants living in rural areas were missing components that we have long believed were standard to all infant populations–especially that they were essentially devoid of Bifidobacterium.” Bifidobacterium dominates the microbiomes of Western infants and has been considered a key element to healthy growth and development. “This research was specifically designed to fill in gaps of knowledge about the variation of the human gut microbiome, as well as the metabolome, in relation to subsistence patterns in geographically close populations,” says first author Funmilola Ayeni of the Department of Pharmaceutical Microbiology at the University of Ibadan in Nigeria. There were some drawbacks to the study. For one, the Bassa people usually don’t know their exact ages. Also, data about gender were not collected for the Bassa who participated, so the researchers were not able to look at whether there were differences between the sexes. Still, the findings were notable. “Studies like these have profound evolutionary relevance because they recall ways of life that have characterized human history, from the hunting and gathering of our Paleolithic ancestors to small-scale agriculture, to the postindustrial Western lifestyle,” Turroni says. Neonatal intensive care units increasingly encourage meaningful touch and skin-to-skin care – aka “kangaroo care” – between parents and premature babies to aid the babies’ development. But a Michigan children’s hospital practicing skin-to-skin care noticed an unwanted side effect in 2016 – a spike in Staphylococcus aureus (SA) infections among newborns. Hospital staff hypothesized that the two events were connected and implemented a three-part intervention in the small-baby unit that effectively reduced SA infections, according to new research presented at the 45th Annual Conference of the Association for Professionals in Infection Control and Epidemiology (APIC). The three interventions introduced to curb SA infections were: increased awareness of hand hygiene, mandatory education of staff around SA, and the implementation of parent skin cleansing prior to skin-to-skin care. In the first-year post-interventions, 20 babies in the small-baby unit developed SA infections, compared to 59 patients in the year prior. Education about SA was also a critical component of this strategy. Following the intervention, 98 percent of staff surveyed knew of the requirements for parental skin cleansing. The mandatory staff education was conducted online. Leadership rounding reinforced the educational content and new cleaning requirements. In turn, nurses educated parents and family about the importance of cleansing before engaging in skin-to-skin care. This presentation will review the changes to ISO 14644 Parts 1 and 2 and will focus on the factors to consider when performing your risk assessment and creating your monitoring plan. How do justify sampling locations for classification? How often are you going to perform period reclassification? What about the other ancillary cleanroom testing required in ISO 14644-3? How often will you perform that based on risk? What items should you include in your monitoring plan document? Changes to these ISO standards will impact the way you perform cleanroom classification activities. Everything you need to know to be compliant to the changes. Science now tells us that we are what the bacteria living in our intestinal tract eat and this could have an influence on how well we age. Building on this, McGill University scientists fed fruit flies with a combination of probiotics and an herbal supplement called Triphala that was able to prolong the flies’ longevity by 60 % and protect them against chronic diseases associated with aging. The study, published in Scientific Reports, adds to a growing body of evidence of the influence that gut bacteria can have on health. The researchers incorporated a symbiotic – made of probiotics with a polyphenol-rich supplement – into the diet of fruit flies. The flies fed with the synbiotic lived up to 66 days old – 26 days more than the ones without the supplement. They also showed reduced traits of aging, such as mounting insulin resistance, inflammation and oxidative stress. “Probiotics dramatically change the architecture of the gut microbiota, not only in its composition but also in respect to how the foods that we eat are metabolized,” says Satya Prakash, professor of biomedical engineering in McGill’s Faculty of Medicine and senior author of the study. “This allows a single probiotic formulation to simultaneously act on several biochemical signaling pathways to elicit broad beneficial physiological effects, and explains why the single formulation we present in this paper has such a dramatic effect on so many different markers”. The fruit fly is remarkably similar to mammals with about 70 % similarity in terms of their biochemical pathways, making it a good indicator of what would happen in humans, adds Prakash. The authors also say that the findings can be explained by the “gut-brain axis,” a bidirectional communication system between microorganisms residing in the gastrointestinal tract – the microbiota – and the brain. In the past few years, studies have shown the gut-brain axis to be involved in neuropathological changes and a variety of conditions such as irritable bowel syndrome, neurodegeneration and even depression. 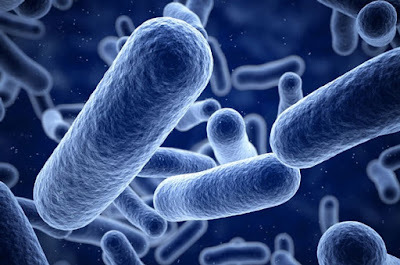 Few studies, however, have successfully designed gut microbiota-modulating therapeutics having effects as potent or broad as the formulation presented in the new study. The herbal supplement used in the study, Triphala, is a formulation made from amalaki, bibhitaki and haritaki, fruits used as medicinal plants in Ayurveda, a form of traditional Indian medicine. Susan Westfall, a former PhD student at McGill and lead author of the study, says the idea of combining Triphala and probiotics comes from her long-standing interest in studying natural products derived from traditional Indian medicine and their impact on neurodegenerative diseases. “At the onset of this study, we were hopeful that combining Triphala with probiotics would be at least a little better than their individual components in terms of physiological benefit, but we did not imagine how successful this formulation would be,” says Westfall, who is now a postdoctoral fellow at the Icahn School of Medicine at Mount Sinai in New York, USA. The new study, which includes data filed in a US provisional patent through a company cofounded by the authors, has the potential to impact the field of the microbiome, probiotics and human health. Considering the broad physiological effects of this formulation shown in the fruit fly, Prakash hopes their formulation could have interesting applications in a number of human disorders such as diabetes, obesity, neurodegeneration, chronic inflammation, depression, irritable bowel syndrome and even cancer. 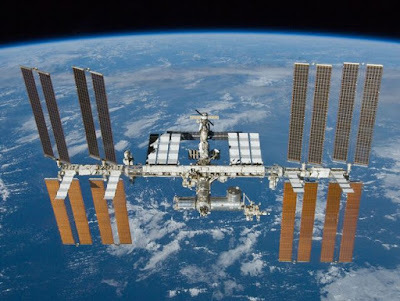 To gain access into the uber-sanitized clean rooms at NASA’s Goddard Space Flight Center in Greenbelt, Maryland, the world’s largest clean room, or the Jet Propulsion Laboratory in Caltech, California, employees pass through a series of lobbies. One, with adhesive floor mats, traps dirt carried on shoes. Another, about the size of an old phone booth, delivers a forced-air shower where dozens of air jets blow away dirt and debris. Only after these sterilization measures can they don the bodysuits, head covers and other disinfected regalia. “The search for life elsewhere is impacted by the possible transport of organisms from Earth to solar system bodies of interest,” said Fox, Moores Professor of Biology and Biochemistry and Chemical and Biomolecular Engineering at UH. Fox is no stranger to microbiology. In the 1970’s, along with fellow scientist Carl Woese, he revolutionized the field by discovering that archaea are a separate domain of life. 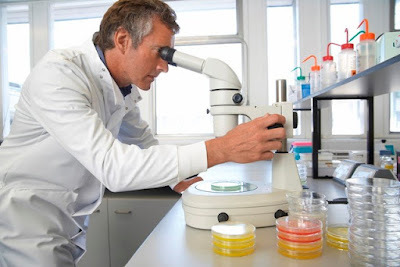 As with natural selection, the cleaning process inside clean rooms will eventually kill off the weaker bacteria while a stronger strain adapts and is unphased by the cleansers. The Fox team studied non-pathogenic (non-disease-causing) bacteria that belong to the genus Bacillus and produce highly resistant spores. They were isolated from cleanrooms and spacecraft assembly facilities at the Jet Propulsion Laboratory. 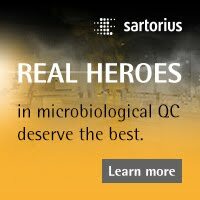 They sequenced the complete genome of two strains resistant to peroxide and radiation: B. safensis FO-36bT and B. pumilus SAFR-032. 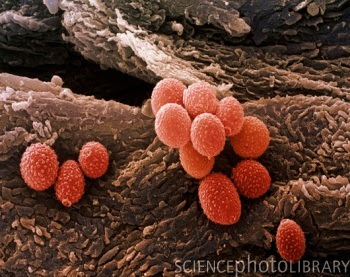 Then they compared the genomes of those strains and that of another strain, B. safensis JPL-MERTA-8-2, with bacteria known to produce spores that are vulnerable to peroxide and radiation, such as the strain B. pumilus ATCC7061T. The B. safensis JPL-MERTA-8-2 strain was isolated from the Mars Odyssey Spacecraft and associated facilities at the Jet Propulsion Laboratory and later also found on the Mars Explorer Rover (MER) before its launch in 2004. “The genome blueprint gave us the basic clues of what the organism might be harboring,” said Tirumalai. 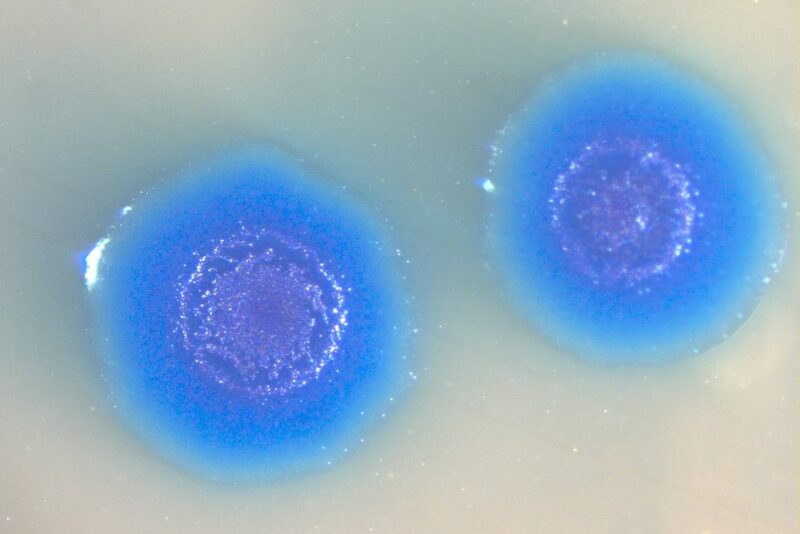 By comparing the blueprints of the four strains, they found 10 genes that are unique to the FO-36b, that are not found in any other organisms (including other Bacillus strains). That is 10 genes whose functions are unknown – or 10 suspects for why spores of B. safensis FO-36bT are resistant to peroxide and radiation, although it is not immediately obvious that the presence or absence of any specific gene or combination of genes is responsible for the variations in resistance seen. “It is quite possible that distinctions in gene regulation can alter the expression levels of key proteins thereby changing the organism’s resistance properties without gain or loss of a particular gene. These are potential genes of interest with respect to the resistance of the spores of this strain” said Tirumalai. As it turns out, four of these genes are found on phage elements of the bacterial strain. Phage, short for bacteriophage, is a virus that infects bacteria. Phages are major facilitators for transferring genes between microbes. 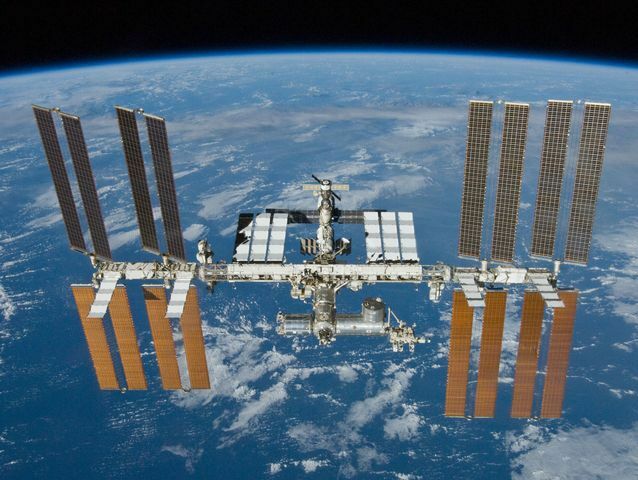 "The task to eliminate microbes in clean rooms, where spacecraft are assembled, or aboard spacecraft, will continue to be a challenge for NASA and other space agencies," said Tirumalai. The aim of this study was to determine the frequency of biocide resistant genes, qacA, qacE and cepA in multidrug resistant (MDR) bacteria: Klebsiella pneumoniae, Pseudomonas aeruginosa and Acinetobacter baumannii and to correlate the presence or absence of resistant genes with biocides susceptibility. The study included 44 MDR K. pneumoniae, P. aeruginosa and A. baumannii microorganisms. 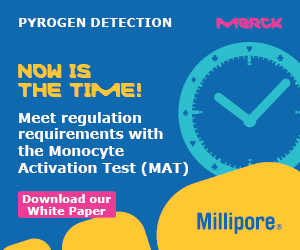 The bacteria were screened for the presence of biocide resistant genes by the polymerase chain reaction (PCR) method. The test organisms were isolated from various clinical specimens in the Qassim region, Saudi Arabia. 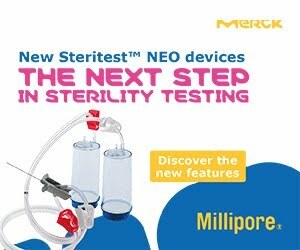 The in vitro susceptibility tests of the three biocides (benzalkonium chloride, cetrimide and chlorhexidine gluconate) were studied against the test isolates by broth microdilution method following Clinical and Laboratory Standards Institute guidelines. With the distribution of biocide resistant genes in K. pneumoniae, all 9 isolates (100%) possessed cepA; 4 (44.4%) and 1 (11.1%) isolate contained qacA and qacE genes respectively. Among 24 isolates of A. baumannii tested, cepA, qacA and qacE genes were found in 54.2%, 16.7% and 33.3% of isolates respectively. 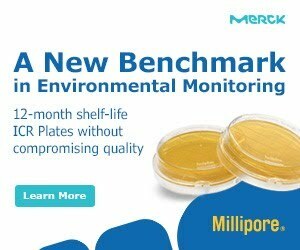 Among 11 P. aeruginosa isolates, 63.6% contained cepA gene, 18.2% contained qacE genes, and none of the isolates harboured qacA gene. There was no significant correlation between presence or absence of biocide resistant genes and high MIC values of the test isolates (p ≥ 0.2). Our observations imply that there was no significant correlation between presence or absence of biocide resistant genes and MICs observed in MDR K. pneumoniae, P. aeruginosa and A. baumannii. Further studies are required to find to confirm the trend of reduced susceptibility to biocides of problematic nosocomial pathogens. A major part of the biologic activity on Earth is hidden underneath the soil down to depths of several kilometres in an environment coined the “deep biosphere”. Studies of life-forms in this dark anoxic system have implications for how life has evolved under conditions we consider extreme. It also gives clue to how life may have evolved on other planets where hostile conditions inhibit colonization of the surface environment. The knowledge about ancient life in this environment deep under our feet is still extremely scarce. Search for signs of ancient life on Earth in the geological record is often challenging because the primary organic material has been partially or completely degraded. In these situations, the proof of biogenic origin relies on geochemical signatures that microorganisms leave behind, or to morphological shapes of mineralized microbial remnants. In search for life on other planets, such as on Mars, the same challenges can be expected and it is therefore important to know what type of chemical signatures to expect from life in extreme environments. In numerous cracks down to depths of 1700 meter that have been partly sealed by crystals grown in them, a team of researchers led by Dr. Henrik Drake from Linnaeus University, Sweden, has traced ancient microbial processes, dominantly focusing on microbes that transform sulfate to sulfide in their metabolism. The multi-disciplinary approach included micro-scale measurement and imaging of sulfur coupled with geochronology within minerals formed in response to microbial activity at several Swedish granitic rock sites. This is the most extensive study of this process in the continental crust yet and the findings suggest that the process has been widespread in time and space in the bedrock.